I wanted to make damned sure I got this out to you because I’m eating a bit of crow (my famous liqueur aversion, y’know) – always a delight – and because the sooner you know about this stuff the longer you will have in your life to enjoy them. And, if you ever drink liqueurs at all, you WILL enjoy them. Sukkah Hill Spirits is a company started by the experimental bent of a Los Angeles housewife named Marni Witkin, who first gathered up the remains of some holiday etrog – the yellow citron or Citrus medica used by Jewish people on the week-long holiday of Sukkot – and tossed it into some vodka, “just for fun“. I suspect, without a trace of proof, that Marni secretly felt – as I do when I infuse spirits with fruits, nuts, or chocolate – that she could make something better than what she was able to find in stores and do it for a third of the price. I haven’t bought Kahlua in several years because I make my own coffee blend from bulk beans, steep it strong enough to stand a spoon in, and blend it, unfiltered, with dark rum. Voila: great caffe liqueur for a LOT less $$$.. Marni found that their friends fell for her edgy, intense lemon-flavored cordial instantly and soon had offers from a local LA liquor store owner to sell every bottle she could make. 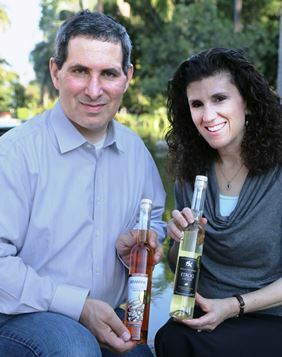 Soon, she and hubby, Howard, were looking for space for maceration tanks…and Sukkah Hill Spirits was born. All that is just preamble. Let me say this flat-out: Sukkah Hill “Etrog” and Sukkah Hill “Besamim”, their brilliant vanilla/cinnamon/spice liqueur, are the absolute best of their types that I have ever tasted. A bottle of very good Itailan Lemoncello comes off like weak lemonade when tasted A-B with Etrog. Vivid notes of LemonHead candy, lime leaf, verbena, white pepper, faint nutmeg, and vanilla pounce on the tongue like a panther on a fresh-cut steak. There is subtlety within the flavor profile but not in the delivery. 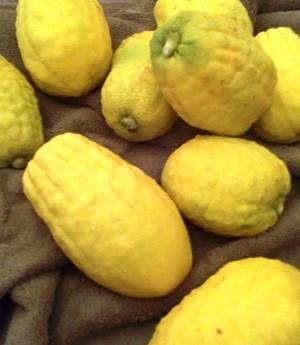 Etrog is a sweet, spicy, complex slap in the mouth, and a wonderfully sweet pain it is. The actual sugar level is moderate, so Etrog doesn’t take over when used as a mixer but it does make its presence known. 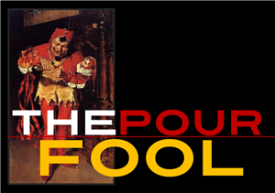 By itself, with maybe two rocks in the glass, it’s downright spiritual; an illuminating confrontation with any of those pallid ideas of liqueurs that, like me, you have in the back of your head. Let’s be honest: MOST liqueurs are so dumbed down by the time you’re able to find them in general circulation – nibbled to death by regulations and efficiency “experts” and lawyers and corporate second-guessing – that what arrives at your house really needs the intervention of a good vodka or tonic or fruit juices or another mixer to get interesting. Both Etrog and its newer sister, Besamim, mix admirably, but both can and should be sipped either out of the freezer, on the rocks, or just as-is. They withstand close scrutiny as well as any liqueurs I’ve ever found and remain interesting and compelling over the long haul. Besamim also turned another neat trick: it got me drinking highballs. As I’ve said many times, here, I am NOT a cocktail person. I vastly prefer any spirit straight or chilled, no water, no mixers. Besamim came with a recipe card that included something called the “Besamim Ginger Highball”. As providence would have it, I was actually standing at the door to our fridge when I read it, with a can of ginger ale in my other hand. Hmmm…Besamim, ginger ale, bitters…which were sitting on the counter,. right in front of me. Hey, I can hear when the Universe is saying my name (sometimes, anyway), so I whipped out a highball glass, stacked it with cubes, and poured. For someone who doesn’t like cocktails and has referred to them as “a waste of good booze“, I’ve had an unseemly number of these concoctions over the past week and it just keeps getting better and better. Besamim is a near-perfect spice liqueur. I’ve sampled about a dozen of these things that come infused with what are basically pumpkin pie spices, since starting The Pour Fool, and all the rest had something in the flavors that I would have changed. In Besamim, the rather assertive spices are smoothed over and thoroughly civilized by a very forward infusion of vanilla bean, the exact same trick I use when making my A-#1 Pumpkin Pie. The flavors of vanilla and spices dovetail so seamlessly and the vanilla is such a fine frame for aggressive spices that there are simply zero hard edges to this big, expansive spice character. There is none of the grittiness and bite that I’ve found in some spice-infused beverages and, even straight, the smoothness and approachability, for such an intense set of flavors, is remarkable. All in all, this is easily the best one-two punch – and I use that term deliberately – in American liqueurs that I’ve found yet. Spiced rum fans will be floored by Bessamim. Lemoncello fans with swoon over Etrog. And all of my fellow cocktail detractors are gonna have a very hard time finding anything to complain about in Sukkah Hill’s current offerings. The Witkins are admirably committed to local-sourcing of everything they use in making both these remarkable bottles, and are clearly mindful of the homogenizing influence that larger-scale production usually carries with it. As of this writing, they only offer the two liqueurs and I am ansty with anticipation to see what the intrepid Witkins come up with next. I’d lobby strongly for a nut liqueur, if they asked. (Which, to their credit, they have not) But, based on these two New Classics, I’m willing to bet that whatever Sukkah Hill does next is going to be done right, deliciously, and with twists and new interpretations just as inspired as Etrog and Besamim.